They knew each other in another life. 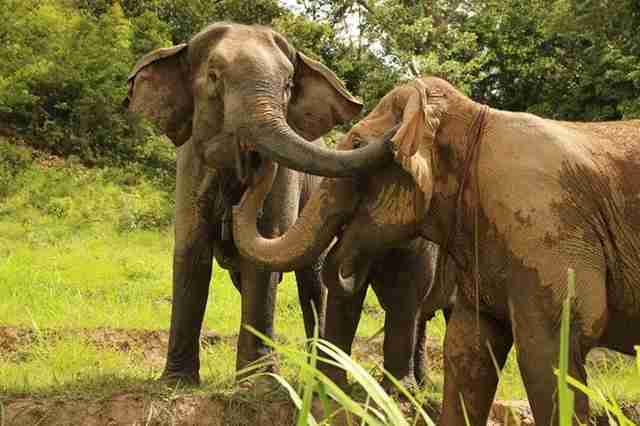 Two elephants, Mae Boon Sri and Mebai, were used to amuse tourists visiting Thailand. Mebai, who had been separated from her mother, was taken in by Mae Boon Sri as a kind of adopted daughter. 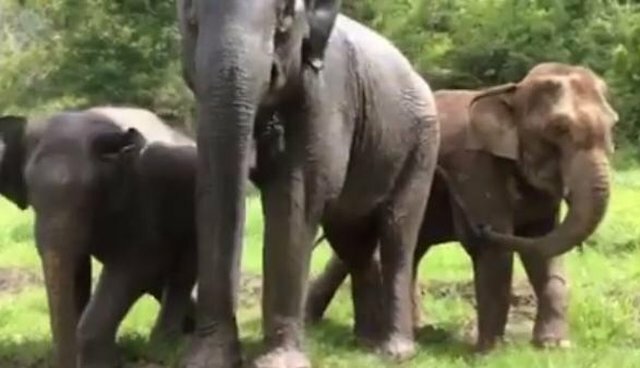 When Mebai was lucky enough to retire to the Elephant Nature Park sanctuary, she had to leave her friend and surrogate mom behind in her thankless life of giving ignorant travelers elephant rides. But when Mae Boon Sri suffered from an abscess on her back from giving rides, her owner could no longer saddle her up and use her for profit. Elephant Nature Park convinced the owner to give her to the sanctuary. 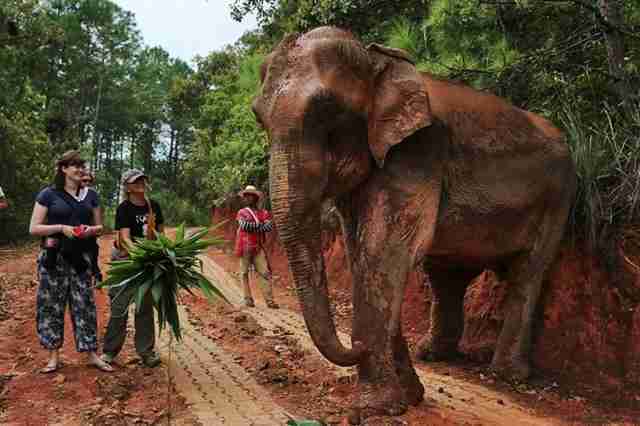 It took five days on foot for Mae Boon Sri to reach her new sanctuary home from the tourist camp. Rescuers walked with her. 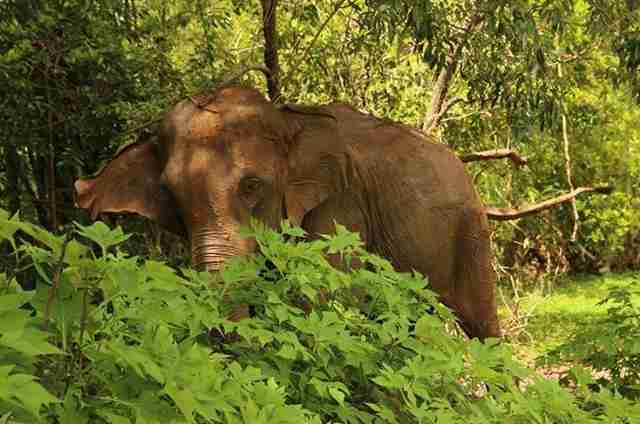 At last, Mae Boon Sri reached her new home. And her old friend, Mebai, was there to greet her. The old friends instantly recognized each other and embraced with their trunks. They even shouted for joy. 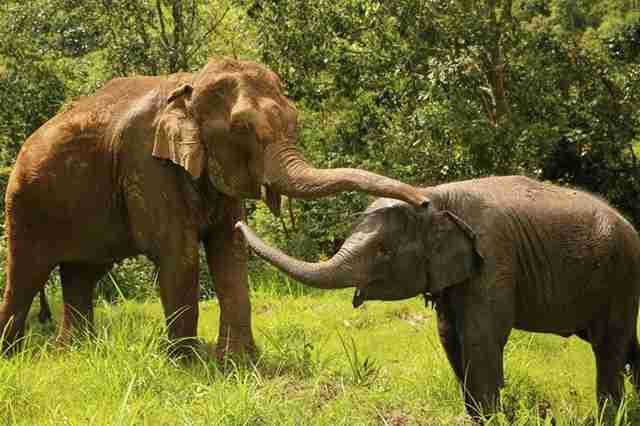 Earlier this year, Mebai reunited with her biological mom, too. Now, Mebai has both motherly mentors back by her side. We're so glad these beautiful animals are finally getting the lives and love they deserve. 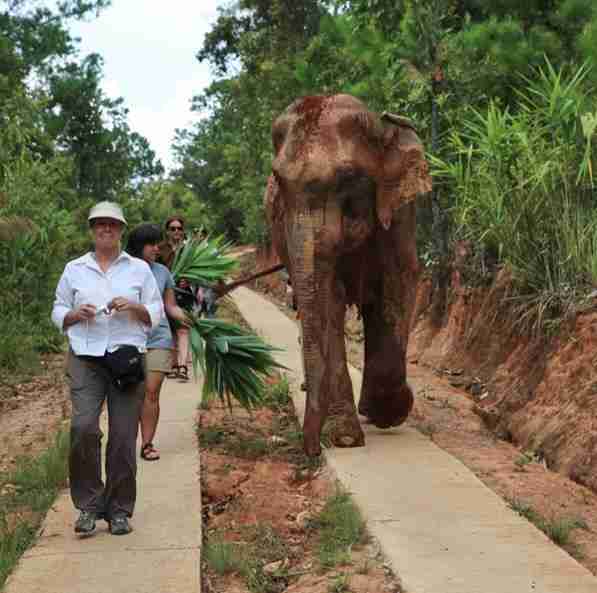 Learn how you can help Elephant Nature Park here.